You know me. I'm a sucker for a game with a unique premise. I also love bluffing games. 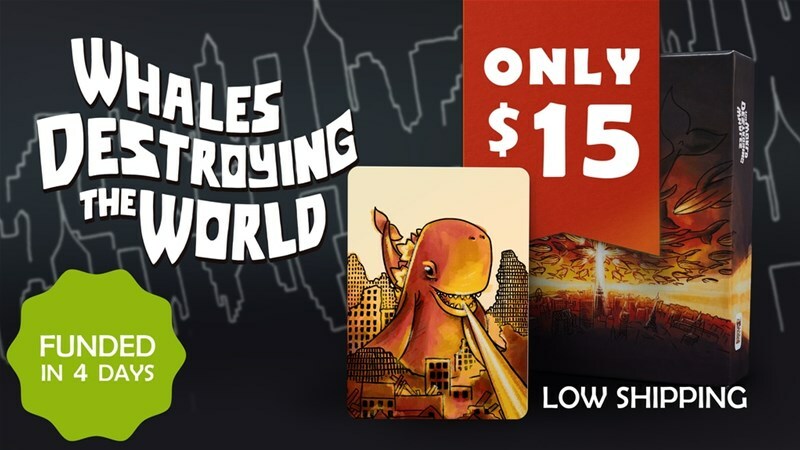 So when I see a card game called Whales Destroying the World, that's apparently heavy on bluffing, you know I'm going to take an extra-long look. Take the role of a whale general looking to wage war against mankind. The game is up on Kickstarter now.